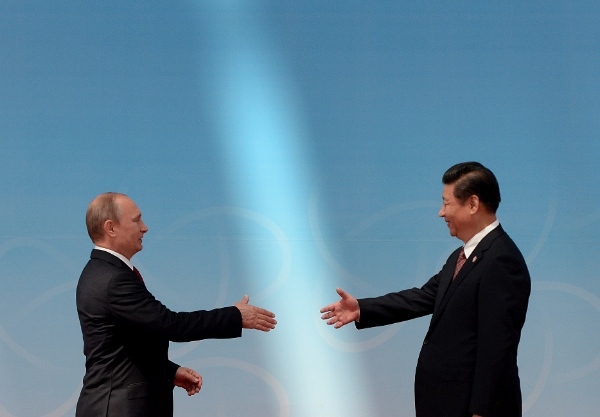 The Russian press is rarely unanimous in its opinions, but there are two points in today’s coverage of the Russia-China gas deal where all the experts agree. First, it is not yet clear whether the new deal is a boon for Russia. But it is certainly a huge failure for the US and the European Union, who lose out on Eastern Siberia’s gas. Second, in light of the sharp deterioration of Russia’s relations with the West because of the mishandled Western-supported “revolution” in Ukraine, the deal with China now becomes a strategic necessity for Moscow. The West’s hostile attitudes toward both Russia and China (during his Asia tour last month, US President Barack Obama sided 100 per cent with Japan and the Philippines in their maritime disputes with China), pushed Beijing and Moscow closer together. The Russo-Chinese contract, which had been in the works for 10 years, was finalized at 4 O’clock in the morning on Wednesday, on the second day of the visit to Beijing by Russian President Vladimir Putin. It became a dramatic ending to several months of marathon negotiations. The new contract is supposed to determine the next 30 years of Russo-Chinese cooperation in developing the Russian natural gas fields in Siberia (the eastern part of Russia) and the Russian Far East. According to the words of Alexei Miller, the head of Russia’s largest gas company, Gazprom, the total cost of the contract is $400 billion. The volume of gas to be delivered is estimated at a gargantuan amount of over 1 trillion cubic metres. Mr. Miller refused to reveal the price tag, as it is usually done after signing these sorts of deals. He simply said it was a “commercial secret” for the moment. Nevertheless, most experts agree that Russia has been lucky to sign the deal. The competition among countries willing to supply energy to China is very intense. In the ten years that have passed since the start of Russo-Chinese negotiations on the deal, Beijing managed to sign contracts with several Central Asian states, including Turkmenistan, a country boasting gas deposits second only to Russia’s in the former Soviet Union. Experts estimate an average price of $387 per thousand cubic metres for the 38 billion cubic meters of gas Russia is going to supply to China in the first years of deliveries beginning in 2018. The deliveries will start once the construction of the pipeline nicknamed “The Force of Siberia” has been completed. The pipeline is supposed to connect the Russian gas reserves in Eastern and possibly (in future) Western Siberia with the Chinese border. The project will require investments, which both Russia and China agreed to provide. The Russian participation is estimated at $55 billion and the Chinese are expected to add $22 billion. Alexander Birman, a journalist specializing in energy issues, writes in the respected Russian daily Izvestia that the Chinese leader Xi Jinping showed a certain nicety to his Russian counterpart, since he did not pressure Moscow given its deteriorated ties with the EU and US. “If the West had started applying the so called “sector-geared” economic sanctions, targeting Russia’s energy companies – if such sanctions had been applied, even the price of $350 [per thousand cubic metres of gas] would look good to Gazprom [Russia’s leading energy provider],” he writes of the gas deal. However, Birman notes that the current standoff between Russia and the West is hurting first and foremost the West’s long-term interests. “Having assured for itself the supply of cheap energy, China will reaffirm its position as the world’s most competitive cost-cutting workshop,” Birman writes. For Russia, diversifying the directions of its gas supplies has become a vital necessity. The gas deal opens a market corridor for Gazprom to potentially access Asian super guzzlers Japan and South Korea, and allow it to become a player in the Liquefied Natural Gas (LNG) sector. This is particularly poignant when considering that EU ministers day and night publicize how they want to decrease their “energy dependence” on Russia. The Soviet Union and Russia have maintained a good reputation with the West since they began supplying gas to Western Europe in the 1960s. There was a ‘pause’ only once in the winter of 2008-2009, when the Ukrainian authorities stole the Russian gas destined for Western Europe. Despite this reputation, however, EU member countries make no secret of their preference for gas from Qatar, Algeria, Norway or even the US, where fracking technology has led to a surplus of gas at the domestic market. “Politically, the Russo-Chinese contract is a success,” says Grigory Vygon, the Director of the Energy Center of the prestigious Skolkovo Business School, near Moscow. One could add that Obama revealed himself (inadvertently) to be the best lobbyist for Russo-Chinese rapprochement during his recent visits to countries having territorial disputes with China. By directly supporting the “revolution” in Kiev and by lending support to all of China’s challengers in the South China Sea and East China Sea, Obama helped Moscow and Beijing to bridge during their intense negotiations the gap in desired prices for their mammoth deal. Dmitry Babich is a senior journalist based in Moscow who has worked with the Komsomolskaya Pravda newspaper, Moscow News and Ria Novosti. He is currently a political analyst for Voice of Russia.